We wrote several new papers elaborating the idea of epistemic fluency. One of them is this chapter: Goodyear, P., & Markauskaite, L. (2018). Epistemic resourcefulness and the development of evaluative judgement. In D. Boud, R. Ajjawi, P. Dawson, & J. Tai (Eds. 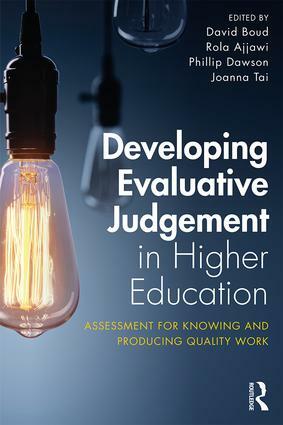 ), Developing evaluative judgement in higher education: Assessment for knowing and producing quality work (pp. 28-38). London: Routledge. This entry was posted in Extensions and reflections, papers. Bookmark the permalink.